In 2002, Bryan Regan and Paul Santangelo began an electrical contracting business named Facilico with only three people. They were dedicated to providing superior service to the commercial and industrial marketplace. The company philosophy has been “Your Problem Solved” and with that commitment Facilico has grown steadily over the years. 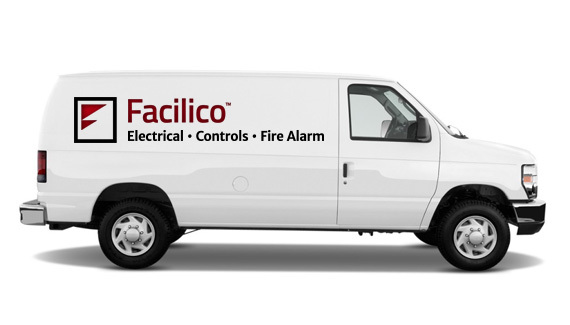 Facilico performs all types of electrical projects – from small service repairs to wiring large commercial buildings. As Facilico continues to grow, we remain committed to delivering customer driven, innovative and high quality installations. Facilico performs all types of electrical projects – from small service repairs to wiring large commercial buildings. Wiring all types of spaces such as, commercial, retail, hospitality, medical, and institutional. New construction, renovations or retrofitting of all types of building automation systems. There are many solutions to conserve energy, reduce costs, and help the environment, contact us to find the right one for you. © Facilico. All rights reserved.